If you follow me on Instagram, you’ll probably be aware of our house renovation which I’ve been documenting on my Stories. There’s a category which has all the renovation clips within it if you fancy catching up! 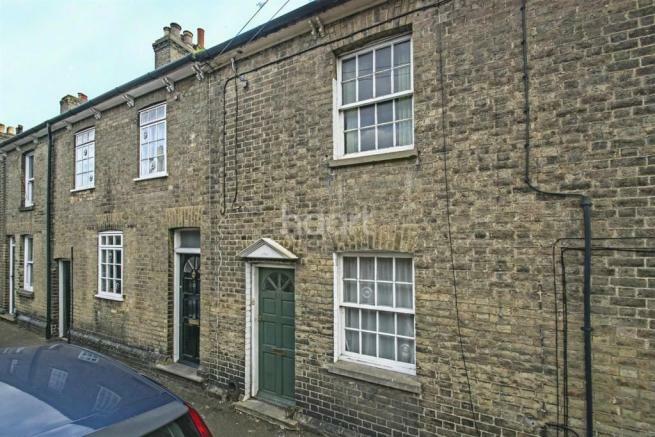 The house itself is a quirky 2 bed Victorian terrace, I say quirky because it does have some rather unusual features including a double staircase and a slightly different layout to the other houses on the street. We snagged it for a bargain, at around 60K less than the standard asking price, had the house have been in tip top condition which it most definitely….was not. We knew we were taking on a big project from the initial viewing. I won’t delve into the details but the previous owner had severely neglected the house for around seven years or so. 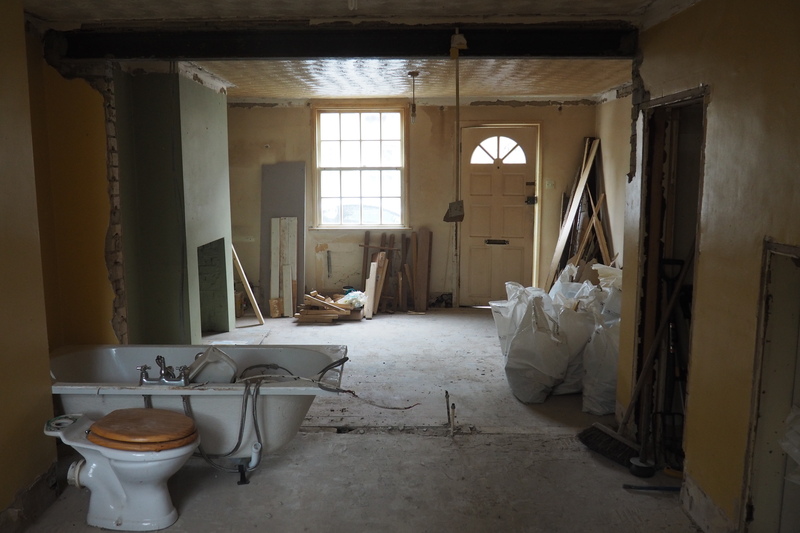 The pictures below are what the house looked like on completion day, as you can imagine, not quite what we expected…yes we are crazy for taking this on. I thought I would panic a lot more than I did, but at the end of the day we knew this was going to be one heck of a project so I remained calm and the estate agents (who were really great) helped us out and organised for the house to be professionally cleared at the previous owners expense. Just as well because it cost almost 3 thousand pounds! 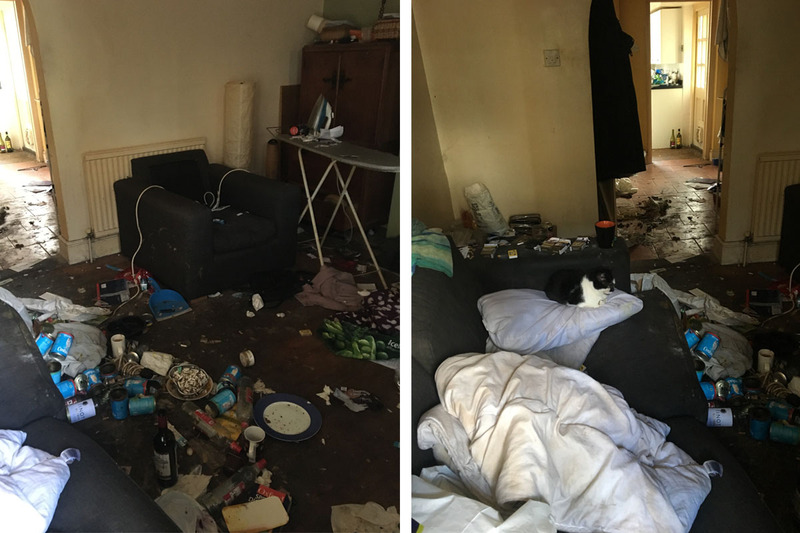 Even after everything was removed, the smell lingered and every surface of the house was still dirty. It’s a good job I can see past these things because at one point I did almost throw up. We’ve knocked a wall down to make the living room and dining room open plan, it also lets more light in so I’m really happy with the outcome. I love open living spaces and it was one of the first things we did. We’ve also taken up the flooring, and removed the skirting/coving. 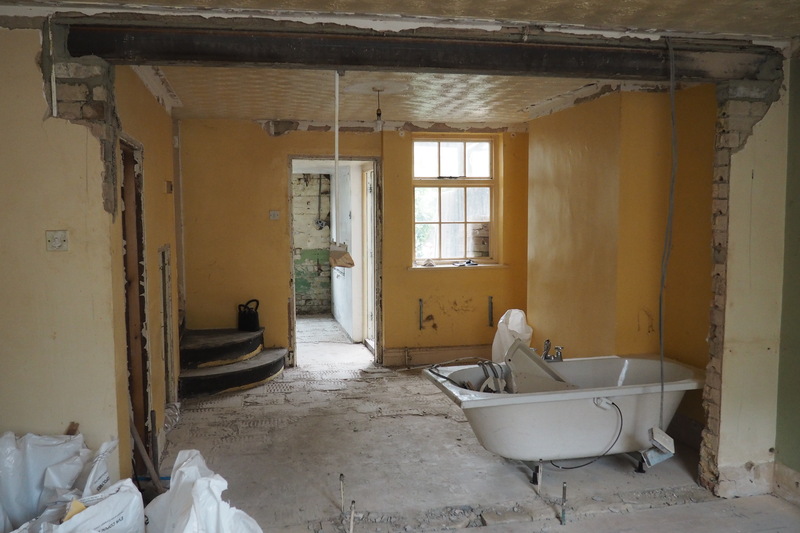 We’ve ripped out the kitchen and taken up the tiles, we’ve also removed the boiler as it was very old. Behind some wooden panelling we discovered the wall was wet due to the issue with the roof but it’s starting to dry out now we’ve got that fixed. We’re also planning on extending the kitchen and having big double doors going out onto the garden, we’re meeting with an architect next week to discuss some plans. 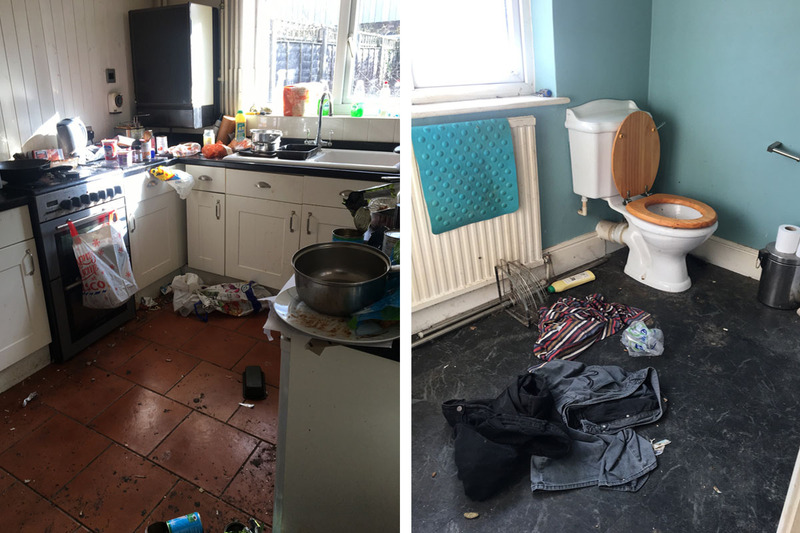 Similarily to the kitchen, we ripped everything out of the bathroom and we’ve also now smashed up the cupboard that was in there and taken the plaster off the wall. We’ve also started taking the ceiling out, and we plan to leave it with no ceiling and paint the beams in a dark grey. 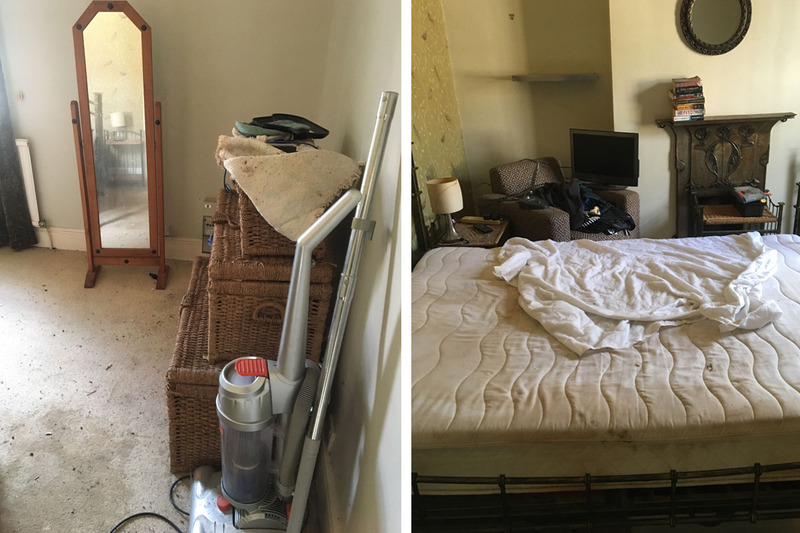 I couldn’t WAIT to rip the disgusting carpet out of this room, we’e stripped the wallpaper and it’s basically a blank canvas now. And yes we will be getting rid of the god awful artex. I also need to source a good fireplace to go in here when the time comes. I love our stairs but they’re in need of major TLC. We ripped the carpet up, which was holding a lot of smells and unimaginable stains. There’s also a couple of steps that need fixing. We couldn’t even access the garden when we viewed the house because it was so overgrown and littered with rubbish. We didn’t even know there was an outbuilding at the bottom! For the minimal money spent, we’ve made quite good progress considering the state of the house when we first stepped into it. I’ve lost count as to how many times I’ve been to the tip, and it’s bloody hard work! I mean, harder for Charlie because I just float around getting in his way really but yeah, not easy. The most annoying issue so far has been the roof, this isn’t something we were aware needed fixing when we bought the house but it is what it is and it still wouldn’t have put me off the project! 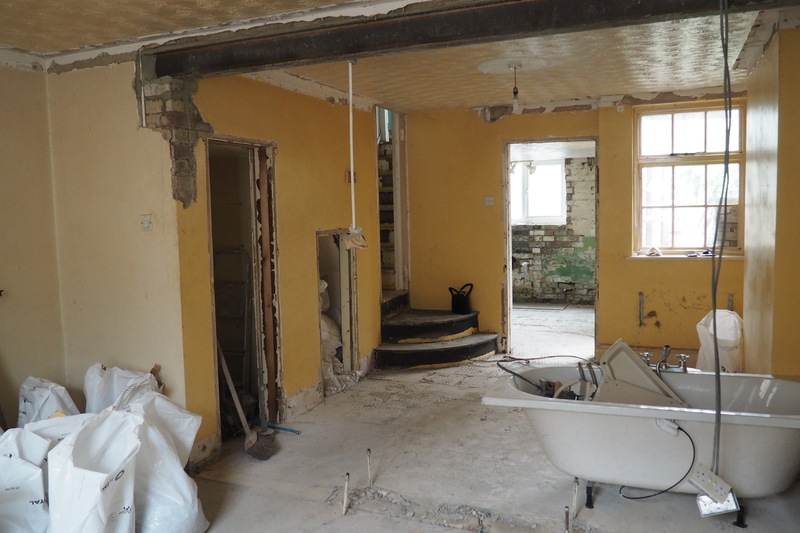 Do let me know if you’d be interested in keeping up to speed with our renovation, I wasn’t sure whether to blog about this or not but quite a few people seemed interested so here we have it! Home Sweet Home…lol.